In celebration of Valentine’s Day, enjoy an evening of cocktails, dining & dancing! 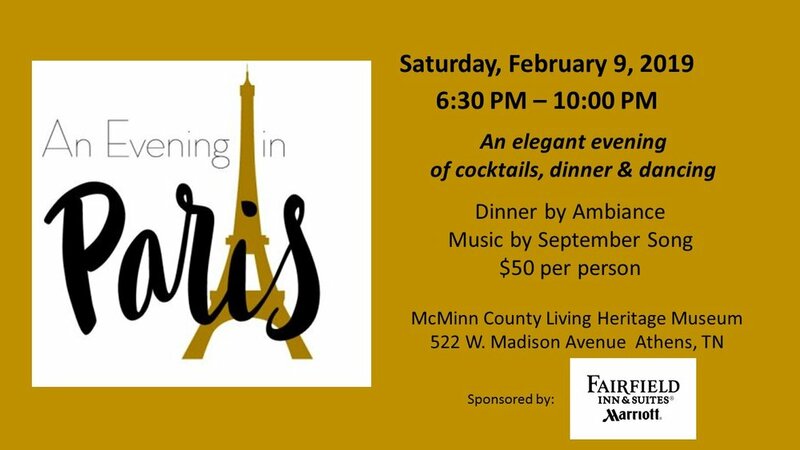 Dress to impress, as you will feel like you are celebrating “An Evening in Paris”. Dinner by Ambiance Catering and music by September Song, a local band that plays a variety of music. Tickets are $50 per person and can be purchased at the Museum or from a board member. This event is sponsored by Fairfield Inn & Suites by Marriott.